When the Lord lays it on your heart to share the gospel with someone, take advantage of the opportunity. You may never know whether or not this is the last time someone has to get a clear presentation of the gospel and receive the Lord. 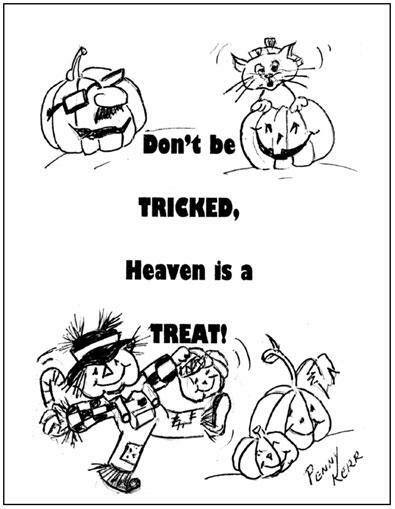 Along with treats for children, include a Pumpkin Gospel Card from Tracts, Inc. A lady shared that a parent read the Pumpkin Gospel Card in her driveway and thanked her as he had been struggling with his relationship with the Lord.